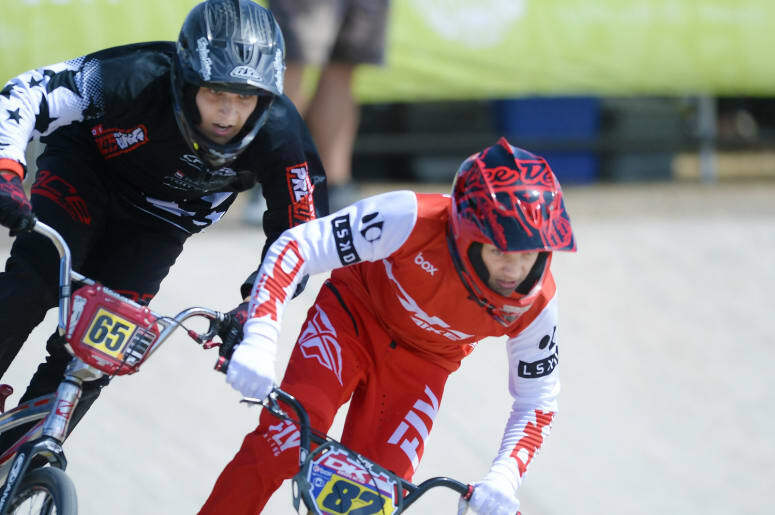 Competitors head over a jump in front of keen onlookers. 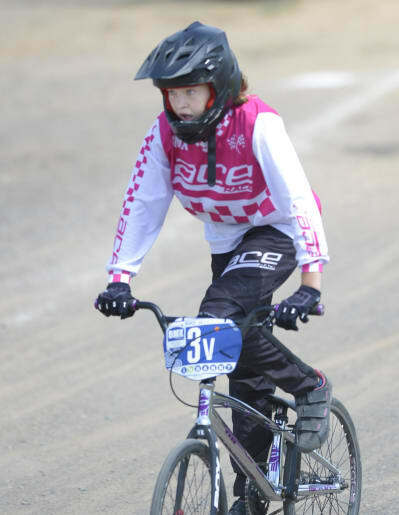 Knox BMX Club’s Ashlea Harders. 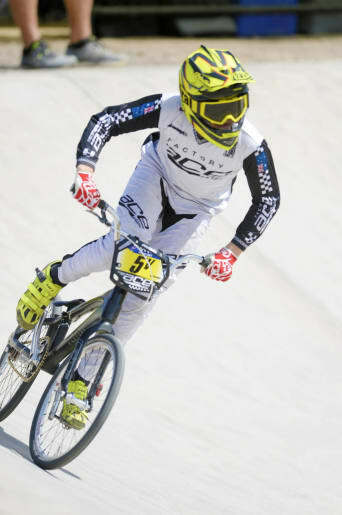 Knox BMX Club’s William Sala. 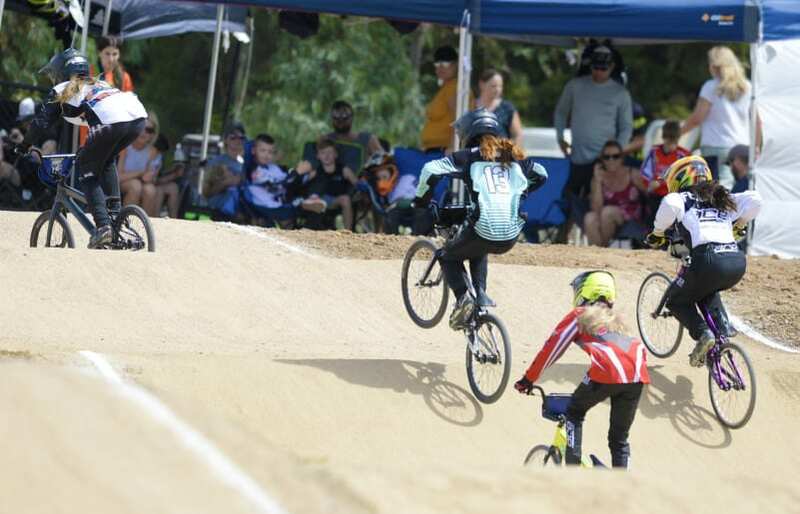 Shepparton’s Austin McNair is closely followed by Knox’s Corey Miller. 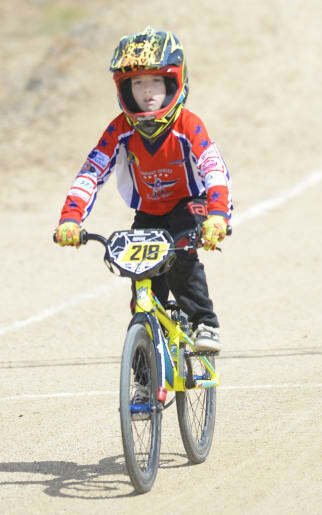 Cross Keys BMX Club’s Roman Brown. 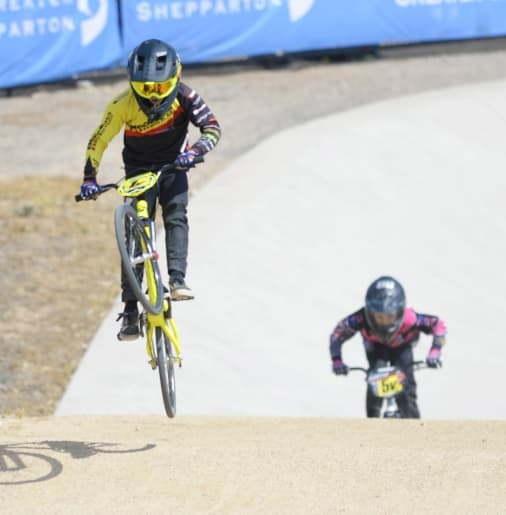 Castle Hill BMX Club’s Harry Rowlands.